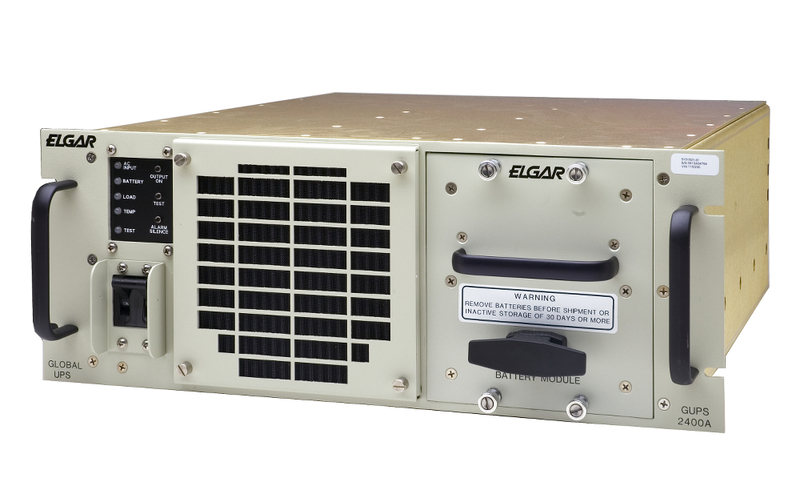 Elgar GUPS are ruggedized on-line UPSs (Uninterruptible Power Supplies) that accept a broad range of worldwide utility and military AC input power. Without operator intervention, they automatically select the appropriate input power ranges to accommodate global operation. The GUPS Series has been specifically designed to withstand the rigours of mobile applications. They meet the vibration and shock requirements as specified in MIL-STD-810E, Methods 514.4 and 516.4. Their rackmounted aluminium chassis with stainless steel hardware withstands harsh environments and provides a strong, light weight enclosure.